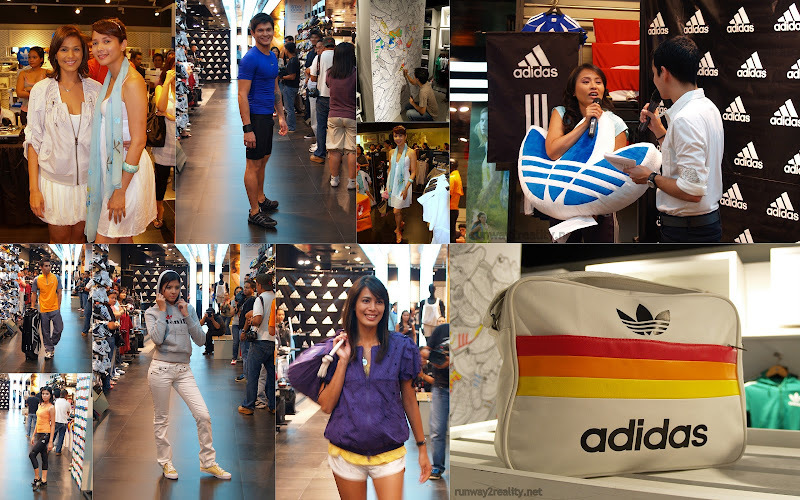 adidas, the global brand for the best in sporting apparel, shoes and accessories opened its biggest and grandest adidas in the country. Located at the Ground Floor of Greenbelt 3, Makati City. It replaces the Sport Performance Store in Trinoma as the new flagship store, and now hails as the capital of the 3-Stripes Nation. It is as it houses all product categories of adidas: Basketball, Running, Football/Soccer, Indoor, Outdoor, Tennis, Swim, Men's Training, Women's Training, Kids' Training, adidas Stella McCartney, Originals, and Golf. Rooted in two divisions, Sport Performance and Sport Style. The Sport Performance Division equips all athletes to achieve their “impossible”. adidas Sport Performance brings its passion for great products to athletes in all sports and mainly focuses on four key categories globally: football, running, training, and basketball. The Sport Style Division, on the other hand, is the home of Originals, defined as authentic sportswear, the Fashion Group, which is the future of sportswear, and Style Essentials, the fresh sport-inspired label made accessible for style-adopting youth. Together, they offer consumers products from street fashion to high fashion, all uniquely inspired and linked to sport. adidas Philippines' Country Manager Nolet Puno leads the entire adidas Philippines in today's event. To mark the opening, the latest collections of each product category are showcased in a fashion show, featuring no less than adidas' Filipino endorsers who are in full force today led by the Ateneo Blue Eagles' pride Cris Tiu and acclaimed actresses/models Angel Aquino and Iza Calzado. Filipino athletic and non-athletic personalities from different disciplines and industries proudly join adidas' growing family of star endorsers who include luminaries like David Beckham, Kevin Garnett, Missy Elliot, to name a few. Sayang I wasn't in this launch. Looks like great pieces. Hmmm I didn't know Karyll is taller than Izza. LOL. i could only wish i could pull off the stella mccartney for adidas swimwear. seriously stunning.